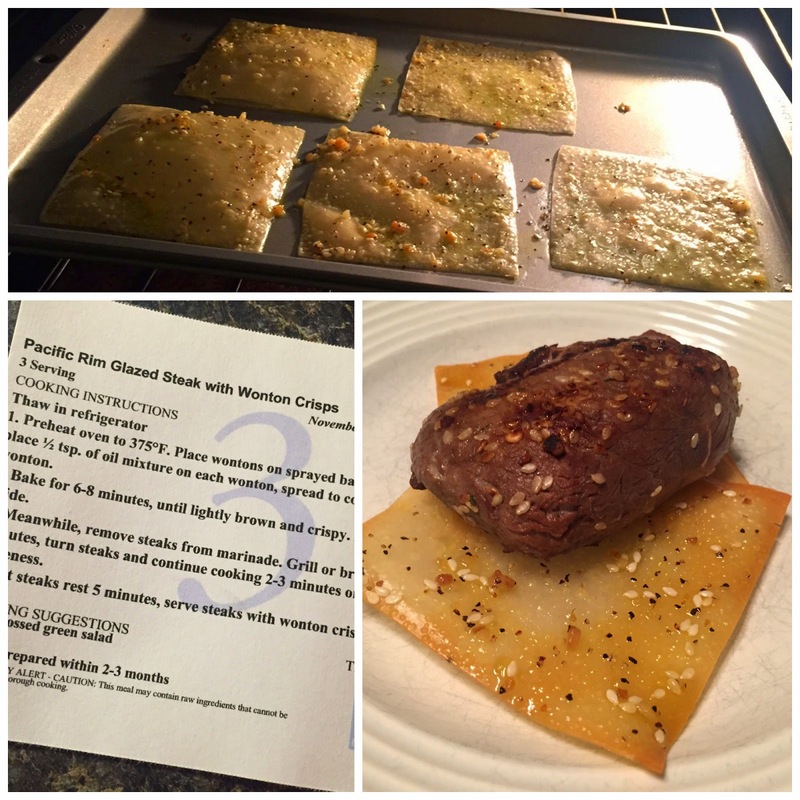 Product Review: Dream Dinners Meal Preparation Services | The Food Hussy! 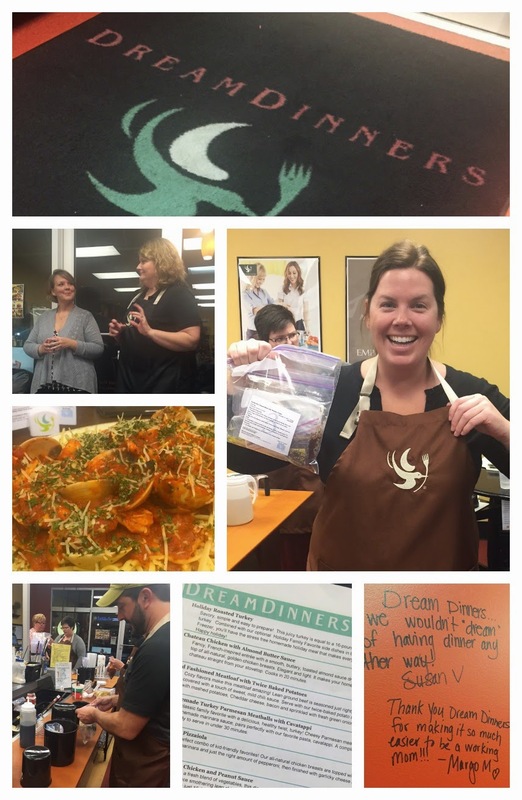 The folks at Dream Dinners - Anderson invited a few bloggers over to try out some meals and take some home. I had heard of Dream Dinners but never been. 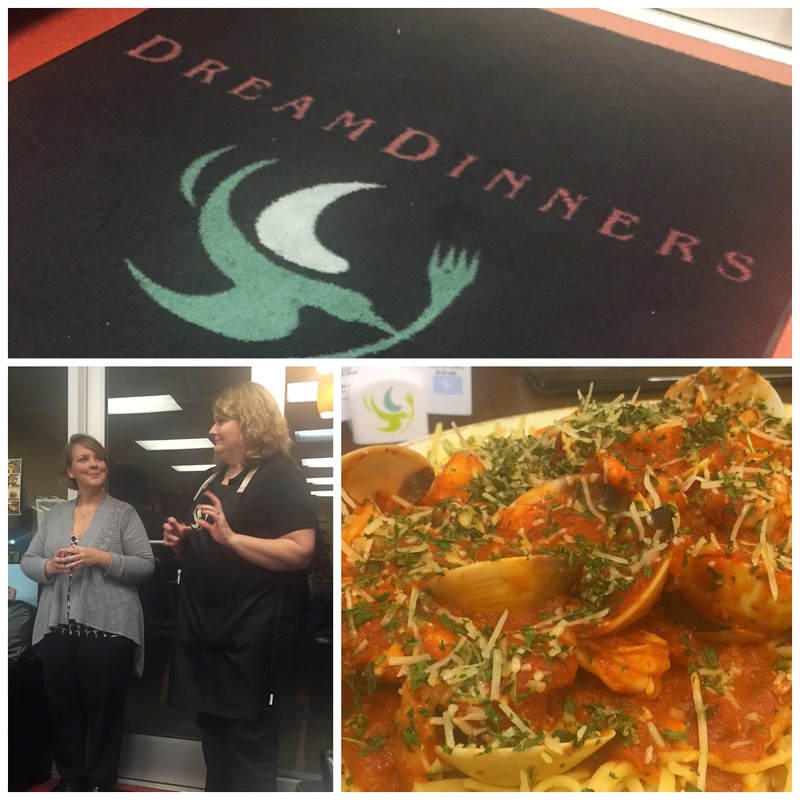 If you're not familiar, Dream Dinners is a meal-preparation service. They have plans that you purchase and then you go in and prep the meals. 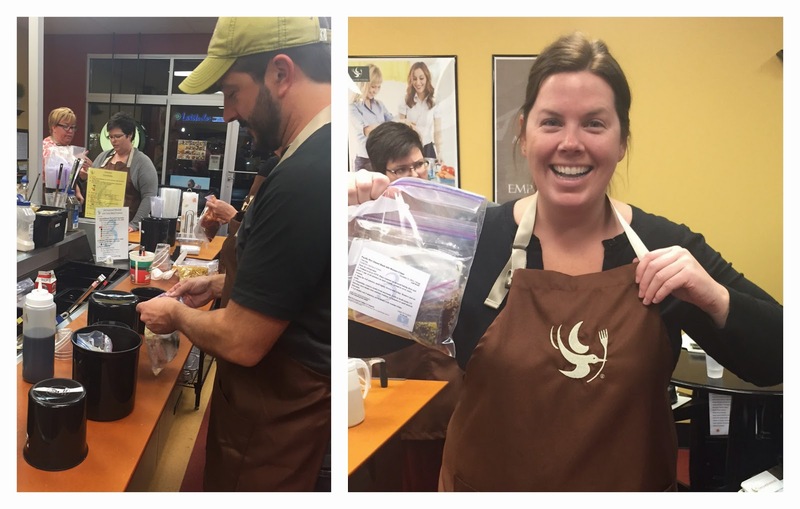 Then you take home freezer bags and instructions with everything you need for each meal. The owners were really friendly and said that they had a passion for food and busy moms and that's why they joined Dream Dinners. It's time-saving yet still provides balanced meals. They have a menu each month that you can choose from. You pick which meals you want and if you want 3 or 6 portions. They also have two types Bag or Pan - the Bag contains multiple bags inside with all the ingredients you need for a dinner, the Pan is a ready-to-bake option thats very popular (but those are not as plentiful as an option). A few of my blogging friends were there - Ed Paff actually is a frequent Dream Dinner Maker - so he knew the routine. Andi and I were newbies but picked up pretty quick. It's nice - they have these stations all set up with all of the ingredients ready to go. Each ingredient has the correct measuring spoon in it - so you just walk down the line and boom-boom-boom - dinner is prepped! The proteins are all pre-packaged to pop in as well and the instructions are very simple. 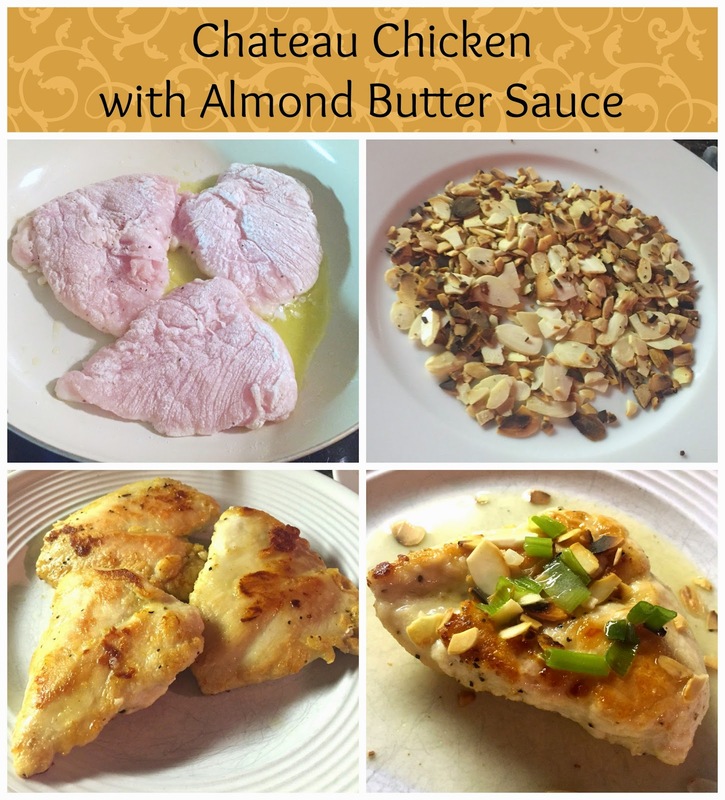 Here was my bag of ingredients for Chateau Chicken with Almond Butter Sauce. You put everything together in these bags and then pop them in a large ziploc with the instructions. It's ready for the freezer! They also have extra items and side dishes that are pre-packaged and available for purchase in the cooler. Each person in the prep session has a shelf - so you can just browse through that and pop that on your shelf. After all your dinners are prepped, the staff puts everything in your cooler for you and tallies up your total. There are meal minimums - just fyi. They have a special introductory offer where you can get 18 portions for $74.95 on your first try. For me that would be six meals of 3 portions each - which is nice - because then there's leftovers for one of us to take to work. They gave us three meals that night and I've made two of them so far. First up was the Chateau Chicken with Almond Butter Sauce. Their recipes are proprietary so I can't share - but I can share what I made. First I took the chicken out and shook it up in a light flour mixture - then into a saute pan. I browned almonds in a small pan. Once the chicken was done, I sprinkled almonds on top. Then I added cooking wine, butter and green onions into the pan with the chicken drippings. After that reduced a bit, poured it over the chicken & almonds. It was really simple and very quick. Not the most amazing meal ever but very quick and easy - and it was tasty. The other recipe I tried was the Pacific Rim Glazed Steak with Wonton Crisps. This was even easier - we were provided wonton wraps and a sauce - you just brushed those and popped them in the oven. While that was cooking - I took the steaks out of their marinade and grilled them up. Then out come the crisps and steak - dinner is served! The marinade had pineapple juice and was really good. All in all, Dream Dinners was a good experience. It's definitely cheaper than eating out (at approx $15/3 portions) but more expensive then the grocery store. I really did love having these meals in my freezer and ready to go. I just grabbed one out the night before and left it in the fridge - then when I got home - I was ready to go! If you have any questions - I'm happy to answer them! Let me know!